Humanities at Prenton comprises History, Geography and RE and boasts some of the most successful GCSE results within the school, utilising the specialised and highly motivated staff leading the department. In Years 7 and 8, students study Humanities as a combination of History and Geography and a separate RE course. Across the Humanities, students are assigned topics per term. The department works together, sharing a common ethos and common approaches to curriculum organisation, teaching & learning and assessment. Topics include ‘My Town’ and ‘Raiders of the UK’, with the former enabling students to explore the Wirral and gain a greater appreciation of both the natural (Physical) and manmade (Human) landmarks in the area. Learning outside the classroom is strong in the Humanities subjects. In Year 7, students go on a Humanities field trip to Chester taking in the walls, Roman ruins, the Cathedral and the central business district. In Year 8 all students go on a field trip to Liverpool where they visit a mosque and synagogue in the morning and the slavery museum and Albert Dock in the afternoon. In Year 9, those opting for Geography at GCSE are taken to Thurstaston and Parkgate to collect data on deciduous woodlands and tourism. In Year 10, GCSE Geography students visit New Brighton to collect data on tourism. The department also runs foreign trips. Year 10 and 11 students studying History have the opportunity of visiting Aushwitz whilst staying in the Polish city of Krakow. 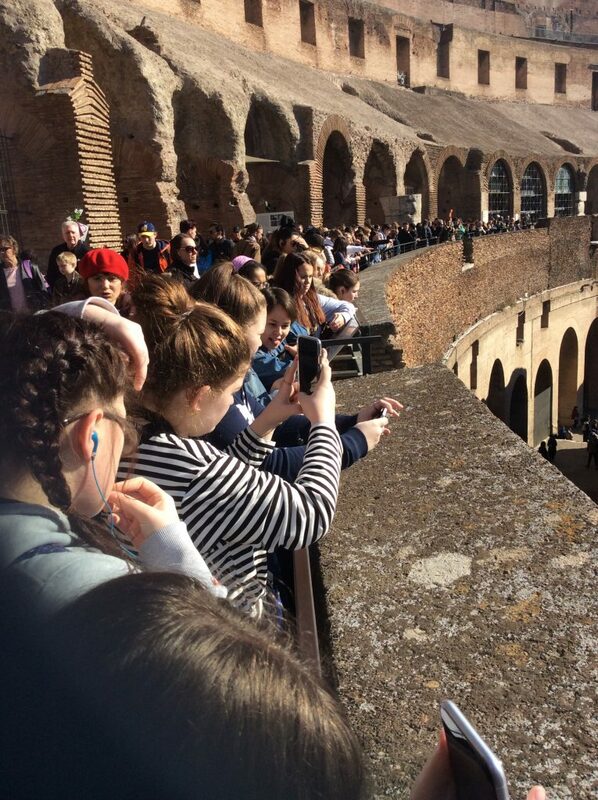 Year 10 and 11 GCSE Geography students have the opportunity of visiting Mount Vesuvius and the island of Capri whilst staying in the Italian town of Sorrento. In Years 10 and 11, students who choose the subject follow AQA’s specification A. The course is broken down into two papers – Paper 1 concerns physical geography and the students study water on the land, the restless earth and the living world. Paper 2 concerns human geography and the students study tourism, population and urban environments. Coursework involves studying tourism change in New Brighton. In Years 10 and 11 students who choose the subject follow Edexcel A specification. In Unit 1, students learn about the end of World War I, World War II and the Cold War. In Unit 2, students learn about the economy and society of the USA from 1919 to 1939. In Unit 3, students learn about the economy and society of the USA from 1946 to 1970. Unit A coursework involves investigating the effects of World War II on the local area. Mr Major, Subject Leader for Humanities has overall responsibility for the effective delivery of SMSC at Prenton. At Prenton High School for Girls, the learning, general well-being and development, both academic and social, of its students are at the heart of all decisions made. Aspects of SMSC are delivered and developed through all parts of the curriculum and extra-curricular activities, although some subjects and activities are likely to be more represented in this than others. Within the school but outside of the classroom, the school’s Student Services team plays a critical role in fostering a feeling of happiness and safety within and ownership of the school by its students. All students are treated as equal, regardless of faith, ethnicity, sexual orientation or socio-economic situation. The core purpose of SMSC is to ensure that schools do all they can to help their students develop into self-assured, confident, happy, positive young people. Knowledge of Britain’s democratic parliamentary system and its central role in shaping our history and values, and continuing to develop Britain. Understanding, acceptance, respect and celebration of diversity, as shown by their tolerance and attitudes towards different religious, ethnic and socio-economic groups in the local, national and global communities. Healthy schools – posters around the school promote the concept of healthy eating. World food days enhance cultural awareness and healthy diets are rewarded. The curriculum provision through Food Technology lessons develops an appreciation of a healthy diet. British way of life – awareness, understanding and respect for British traditions such as laws, democracy and public institutions are embedded within the Humanities curriculum. In May, to coincide with electoral timings a British week is held by the faculty whereupon concepts such as the rule of law, tolerance, the democratic system and respect for institutions such as the police are delivered to students in years 7 to 9. School council – council meets once a month. Representatives are elected from within the student body. Issues that the students present themselves and others from staff, governors and members of the PTA are discussed. Field excursions – the school runs a great number of excursions each year with the aim of fostering cultural awareness and a sense of awe and wonder at both the human and physical environment. The PE department run a yearly water sports trip to La Fosca in Spain. The Humanities faculty run trips to the Bay of Naples and Poland. The Humanities faculty led by the RE department run an annual excursion for year 8 pupils to a local synagogue and also take all year 7 pupils to Chester cathedral. Minority ethnic awareness service – MEAS works closely with the school in helping students whose first language is not English.